Our mission is to help create access to healthier treats by creating a platform for local Home Bakers to sell speciality baked goods directly to the community to meet the growing demands for baked goods made with organic and/or local ingredients and that are vegan, gluten free, paleo and/or diabetic friendly. The Home Bakers Market™ is similar to a Farmers Market where you get to know your Home Baker personally and you get to feel confident they are making your bake goods using fresh ingredients . Many of our Home Bakers will also be using local and/or organic ingredients. With the new Texas Cottage Law, Home Baker's now are able to sell directly from their home kitchens to the public as long as their home baking business is less than $50,000 a year. This exciting opportunity allows home bakers to prepare fresh home made goods from their kitchen while allowing them to work from home and spend more quality time with their family. Our journey towards a more sustainable food system was inspired by Lebby Salinas, a.k.a. 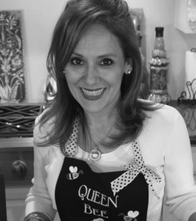 The Fooducator®, Certified Health Coach, Drugless Health Practitioner, Home Baker and Home School Mom. After Lebby faced multiple health challenges resulting from food allergies and gluten sensitivity, these challenges opened her mind to new ideas towards living a more sustainable natural way of life. Lebby is also a Home Economics major who works daily towards expanding access to locally grown and produced food options that is healthier for us and our communities. The Home Bakers Market™ is a project of The Historic Cine El Rey Theatre Foundation, a non profit 501 (c) 3 organization whose mission is "Preserving the past for the future", supported by Fooducation® efforts and helped made possible by McAllen Public Library and volunteers. Thank you for supporting our cause and sharing this journey of preserving traditions, food, communities, and our health.